We’re always on the lookout for new arts and culture programming. Whether workshops in ceramics, writing or visual arts, presentations on important cultural issues, or a musical performance, we’re interested in hearing from you. A key benefit to offering your workshop or presentation is that once your proposal is approved by the appropriate programming committee, we’ll take care of registration and marketing. Click here to review our revenue sharing policy. While our programming teams typically schedule for an entire season at once, we are open to new submissions for classes in writing craft or publishing and visual arts techniques, including clay. We also have an option for online courses. Check our calendar, to see the sorts of workshops we offer and whether yours might be a good fit. The Manzanita Writers’ Series collects information about authors to feature for next year’s season. The team meets in September to establish the final candidate list. Typically, we schedule authors for the third Saturday of February, March, May, September, October, and November. In April, we focus on poetry, so poets should apply for that month. We also offer presentations and films on topics relevant to our community, including for our Art of Aging & Dying conversation series. Other presentations we’ve hosted include travel features, art processes, and cultural events like Burning Man. We are delighted to host small musical groups that fit into our “living room” performance space. We look for a diverse range of music—jazz, bluegrass, Irish and other world music. You may be able to take advantage of our sponsored music program, where musicians set the price and receive the full admission take. If you are applying to teach a class, make a presentation, or any of the above, please allow a minimum of six weeks to review and approve your proposal. This allows us plenty of time to complete materials and market your proposed class to potential attendees in advance of the scheduled class date(s). We always ask for feedback from class attendees. That helps us ensure we’re offering the kinds of programs visitors and community members are interested in. Here’s a sample of the standard evaluation we use. Feel free to modify this form to ensure it’s relevant for your workshop, class, or presentation. There are several ways for artists and writers to share their work at the Hoffman Center for the Arts. In the Hoffman Gallery, there are two primary ways artists may show their work. One is to participate in a themed group show. The other is to submit an application in the fall for the following year. Both opportunities are announced via our e-newsletter, on Facebook, and other media. 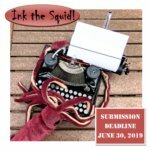 We publish the North Coast Squid, a journal that highlights art and writing, and our Word & Image project, where artists and writers respond to each other’s work. Both of those projects feature artists and writers with strong connections to the North Oregon Coast. And new in 2019, we’ve launched a poetry contest. All these opportunities have specific deadlines, so check each of the sections below for updates. Or sign up for our e-newsletter, using the form below, to find out when we’re accepting submissions for each. 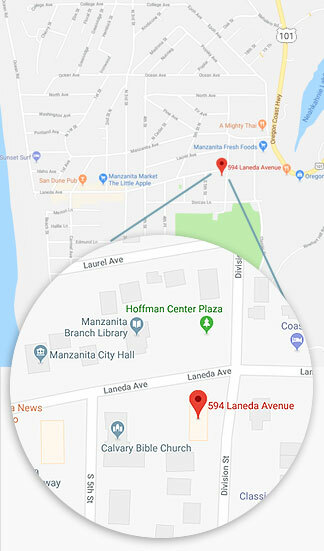 The mission of the Hoffman Gallery is to feature community art shows by North Oregon Coast artists–generally Clatsop and Tillamook Counties–to encourage art and creativity, and to showcase artists who also lead workshops or demos. Applications to show work are due by October 15 for a show in the following year, except for art instructors who will be accepted as space allows. The next submission period is May 15 through June 30, 2019. Review submission instruction details here. 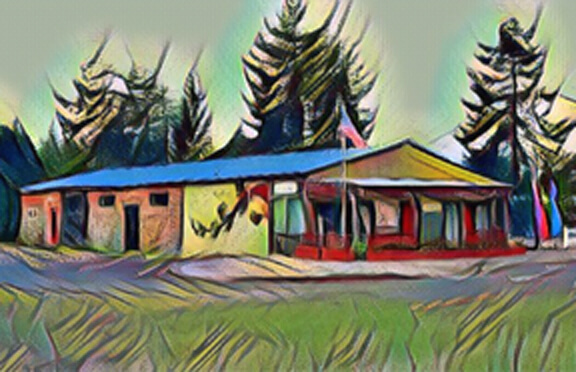 Look for current issues of the North Coast Squid on sale at Cloud & Leaf Bookstore and Manzanita News & Espresso in Manzanita, the Beehive in Nehalem, The Roost in Wheeler, Tillamook County Pioneer Museum in Tillamook, Cannon Beach Books in Cannon Beach, Lucy’s Books in Astoria, and Beach Books in Seaside. Net proceeds from the cover price go towards future issues of the North Coast Squid. The Next Word & Image Project will be held in 2020. Our popular Word & Image: A Dialogue between Writers and Artists will be taking a year off in 2019. Look for more information in early 2020. Meanwhile you can purchase a keepsake book of the 2017 and 2018 collections in the Hoffman Gallery. Submission Period Open: January 1 – January 31, 2019. Here’s your chance to see your poem in print along with winning a $100 cash prize. Submit poems of 30 lines or less, on any subject. Up to three poems will be accepted in a single submission document. Each submitter must state a clear connection to the North Oregon Coast in the biographical statement that accompanies the submission. The contest will be limited to the first 50 poets who submit during January 2019. Once we have 50 submissions, the contest will close. The winner will be notified in March. There will be a $7 non-refundable fee to enter the contest. All submissions must be made online using the link below. Please follow the specific guidelines. The contest will be judged by Lana Ayers, MFA, who has been publishing the Concrete Wolf Poetry Chapbook Series since 2001. In 2010, she created MoonPath Press to publish poetry collections by Pacific Northwest poets. She has authored nine collections of poetry and recently released her first novel. The winning poem and poet will be featured in the Hoffman Center e-newsletter in April, as well as in the next issue of North Coast Squid (November 2019) with a full-page spread including the poem, author photo, and an interview-based profile. Review submission instruction details here. Submit your work using the Submit button below.